It is a natural tendency for every businessperson to take his/her business on the first page of the search engine results of Google. And to meet this avid need successfully, businesspersons utilize a variety of proven techniques and tools. By the way, have you ever tried out bulk SMS services to promote your business? If not, you must utilize the service, which comprises targeted messages that you send to your target group with the view to informing them about your target product and services. Maybe you are not aware but bulk SMS services typically do wonders for your business without fail! You can readily kick your business upstairs exploiting the power of bulk SMS by hiring the services of top-rated Bulk SMS Service Providers that will help you promote your business by marketing your products and services. Bulk SMS service providers furnish you with instant access of sending promotional SMS to a mass of users almost in a jiffy. Bulk SMS service providers are the ones who are there to help the business owners to get the maximum benefits out of their marketing strategies. It is a common fact that when you are using anything in bulk, it typically costs you less. Luckily, using bulk SMS service, you have the opportunity to promote your business at extremely low rates. In fact, a wide range of SMS services is available today, but bulk SMS is absolutely one-of-a-kind; it targets an audience of millions in a cost-effective fashion. The last impression often lasts long or even forever including the details of promotions and striking discounts on your products/services, which automatically pull in your audience of hundreds and thousands towards your business. It certainly grips the attention of your target audience towards the offer and convinces them to avail of it. Bulk SMS services are therefore just the ticket to create a lasting impression that lasts long or forever. Bulk SMS services are again wonderful; exploiting their power, you can send greeting messages to your target group on any occasion whether it is their Wedding Anniversaries, their Birthdays, and Happy New Year etc. Such wishes through SMS give the impression to the target persons as if they are special to them and ensure amicable alliances with them. However, the main thing to keep in mind always is that you should try your best to give 100% satisfaction to your customers by offering them quality products/services on a continuing basis. This strategy is, in fact, very instrumental in gaining new customers and retaining the old ones. At times, while your business goes through critical changes; it is your responsibility to apprise your targeted customers of the same. Bulk SMS services are again the ticket to give them updates about any changes in your business in a very effective and instant manner at one fell swoop. So what is the wait for? 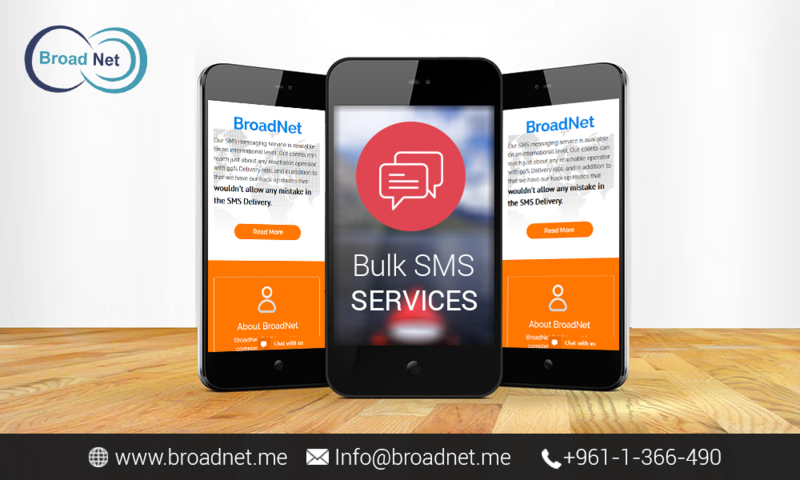 Hiring a reputable bulk SMS service provider such as BroadNet Technologies and get the vast range of benefits from the services readily at no-brainer price rates.